Top iPhone/iPad Maintenance Tips - iMobie Inc.
How to take care of your iPhone? If you are curious about this question, then read this post showing you efficient iPhone/iPad maintenance tricks. Supports all models of iPhone/iPad. 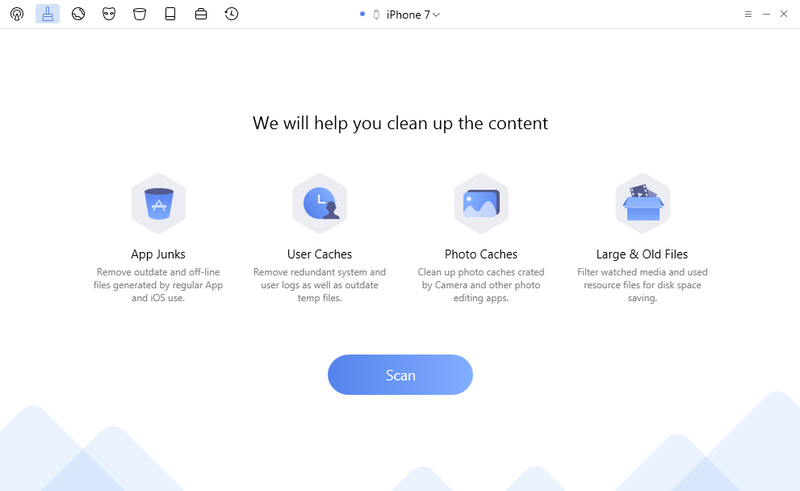 PhoneClean helps you clean junk files and caches on your iPhone/iPad. Why not download it right now and use it to take good care of your iPhone/iPad. The new iPhone 8/8 Plus/X would soon be available, are you ready to perform another round of iPhone to iPhone upgrade? If not, please check this guide on How to Transfer Data from Old iPhone to New iPhone. You may also have stored some of your data in computer and want to transfer them to new iPhone 7/8/8 Plus/X, please refer to this page to learn How to Transfer Data from Computer to iPhone. It is no doubt that iPhone is one the best smart phones and upgrading to new iPhone is a smart choice. As soon as you finish activating, you can have a totally different usage experience. However, iPhone always costs too much, according to product launch, new iPhone 8 iPhone X will take you as much as $ 699 and $ 1000 respectively, so after making a purchase of a new iPhone, no matter iPhone 7/8/8 Plus/X, why not take good care of your iPhone and make it serve you well? Here in this post, we will show you several iPhone maintenance tips to help you take good care of your iPhone 8 (Plus)/X. Please note that these tips also work for maintaining your iPad and other models of iPhone. It is widely known that storage is crucial for iPhone/iPad to perform well. 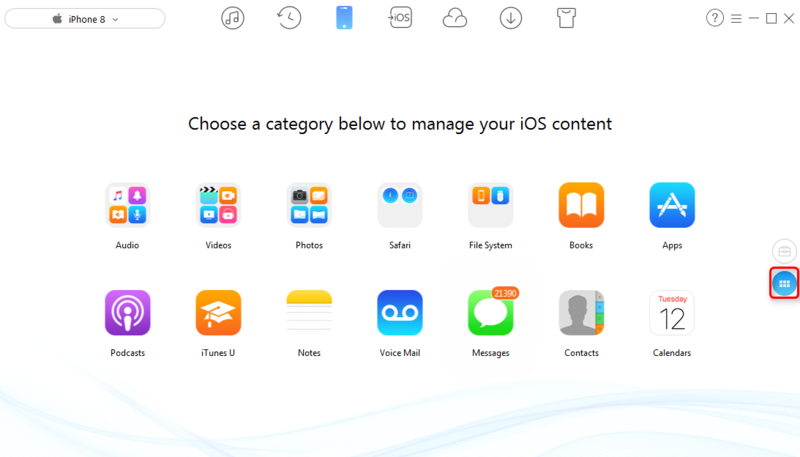 While using iPhone every day, you might barely notice that iPhone/iPad is being filled up with unneeded files, but once you get the notification of "storage is full", it is nearly impossible to download new apps or new movies. Here are tips to help you clean iPhone/iPad. This is definitely the easiest way to take care of your iPhone/iPad. By doing so, you can easily remove at least 1 GB storage for more important files. Besides, some Apps may also take running memory even if you didn't run it, uninstall these apps are helpful to make your iPhone/iPad run faster. To uninstall apps, you can long press the app until a shaking box appears, click the "X" symbol in the upper left corner, now your App is removed. While cleaning iPhone, caches and junk files can't be missed. There are so many kinds of caches, like CPU cache, Page cache, Web cache. Some caches are important for it ensures all apps on your iPhone/iPad work fine, however, in most cases, they eat a lot of your iPhone/iPad memories for their huge amount. It is possible to remove them one by one manually, but some useful caches are just likely to be removed. If you need remove these hideous caches without any risk, PhoneClean is safe way to go. It could scan and remove unneeded caches and large & old files way from your iPhone/iPad, helping you free iPhone/iPad space as much as possible. If you are still short of iPhone/iPad storage, then what you can do is to backup important data and then temporarily remove them. This is also a nice way to maintain your iPhone/iPad. ● Backup data with iTunes: Connect your iPhone to computer equipped with the latest version of iTunes, click Summary button, tap Backup Now. ● Backup data with iCloud: Connect your iPhone to Wi-Fi, go to Settings > [your name] > iCloud, then enable iCloud Backup and select Back Up Now. It is absolutely right to put running speed and storage space into priority when it comes to iPhone/iPad maintenance. However, it is just not right to leave battery behind. Of all iPhone/iPad problems, battery issues are probably the hardest and most expensive to fix, but all battery issues could be avoided by doing small things. Location service allows you to know where you are and grants your favorite apps with current location. However, you might have noticed that after location service is enabled, the battery drains extremely fast, which does great harm to the battery. To disable location service, you can just go to the Settings app, scroll down to tap on Privacy, click on Location Service and tap on its option until it appears grey. Apps is also a reason why your battery drains quickly. One iPhone users emailed us saying that he opened five apps with 50% of power at night, the next morning, his iPhone is powered of due to low battery. High load operation always does harm to the battery. Double click the Home button, all apps that are running in the background would be brought. Swipe upwards, the running apps are closed. Although the new iPhone is of high quality and has a scratch resistant screen, but any simple drop might still cause a big damage to your iPhone/iPad. A case can avoid, at least reduce the damage. Press the Power button and Home button or Power button and Volume Down (iPhone 7) button, your iPhone could restart. This sounds simple, but this could give your iPhone a chance to fully shut down all programs that are running. This is probably one of the most efficient iPhone/iPad maintenance tips. That is all for how to maintain your iPhone/iPad. If you find this post helpful, please share this post with others. By the way, if you have more iPhone/iPad maintenance tips, do leave comments below so that other people may benefit.